Product prices and availability are accurate as of 2019-04-15 00:49:23 EDT and are subject to change. Any price and availability information displayed on http://www.amazon.com/ at the time of purchase will apply to the purchase of this product. 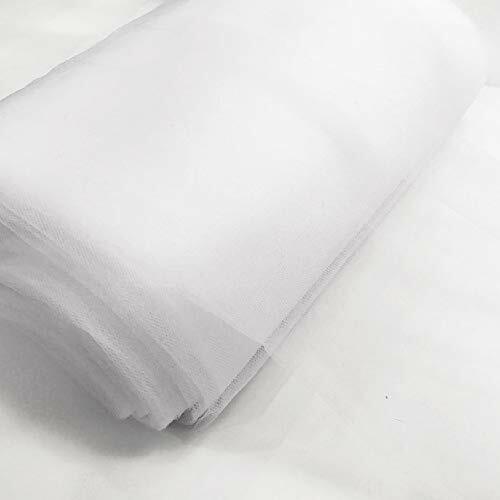 This 40 Yard bolt of lightweight tulle is soft to the touch and is appropriate for party decorations dresses crafts hair accessories floral arrangements gift baskets window displays hats veils and costumes.Please Note - This fabric will be received folded and is not sold on a physical bolt. Width: 54 inch , Length: 40 yards (120 ft) Made of 100% Soft Polyester, Diamond Netting, Soft / Fine Tulle bolt. Perfect uses for your wedding and special occasion. 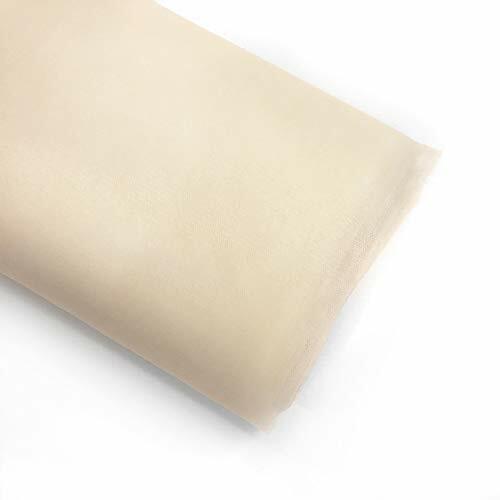 Incorporate this tulle into your DIY wedding craft projects. Use it make your own veil, to wrap your wedding favors, create your own pew bows and swag & drape it through your aisle and/or decorative arch, decorate your tables, etc.